Grade 10 girls – join us for an exciting day of exploration. Get creative and participate in fun engineering activities. 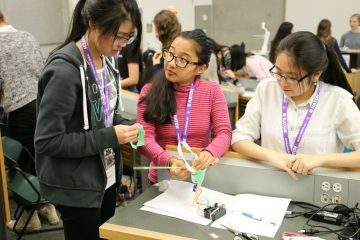 Tour engineering labs, connect with other like-minded students and talk to current engineering students and professionals who will share their stories and experience. Details for Engineering Explorations 10 2019 coming soon!